This custom Drop Point flipper from John Kubasek is a beautiful creation. It has a filed Thomas Spirograph Damascus steel blade with checkered thumb studs and a flipper opener. 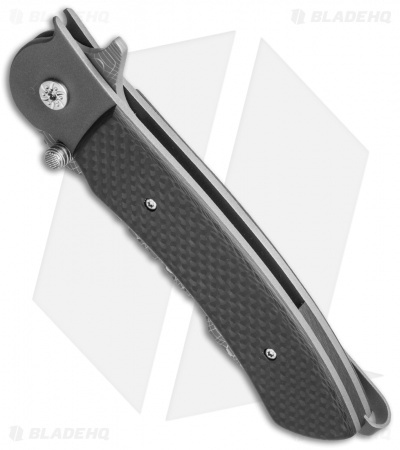 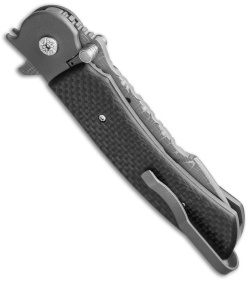 The titanium liner lock handle has carbon fiber scales along with a deep tip-up carry pocket clip. The back scale acts as a stop for the liner lock tab. 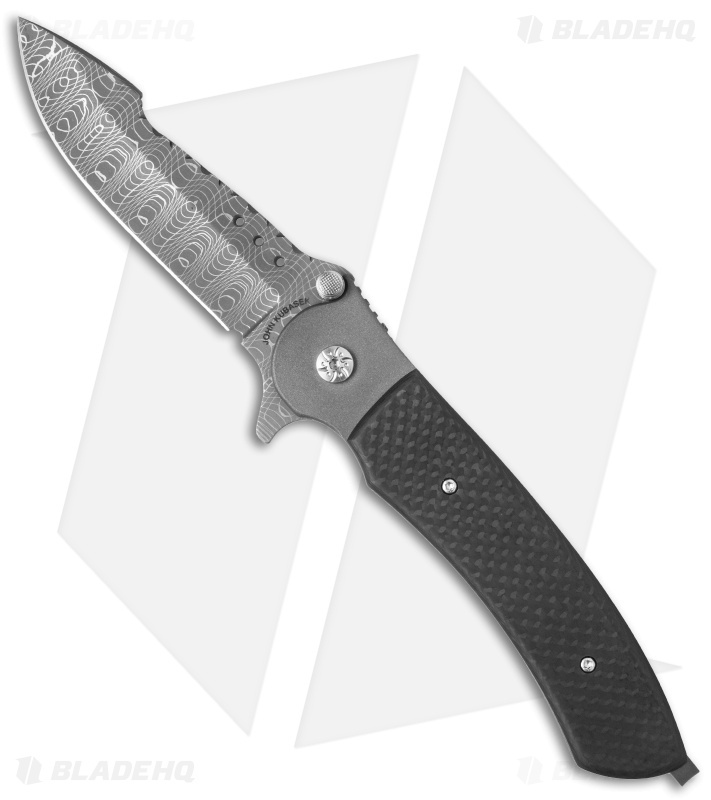 This knife is exceptional.